One of the benefits of reviewing games for Operation Rainfall is that, while we focus on Japanese games, you don’t really know which game you may end up reviewing. When we got a code for Rock of Ages 2 I was a bit surprised. I remember ATLUS announcing the first game, but I didn’t get a chance to play it, and to be honest, I wasn’t expecting it to get a sequel. So I took this chance to get out of my comfort zone and took the game blindly, not knowing what was waiting for me. And I don’t regret it one bit. So first things first, what is Rock of Ages 2? The best way that I can describe it, is as a mix between Super Monkey Ball with a tower defense game. You’ll face off against famous historical icons throughout history in a strategic battle of tossing rocks against each other. Combat is divided into two modes. First, using a top-down view, you will build different weapons or barriers through the path that the enemy boulder will pass. Each unit has a cost, and while gold is collected automatically, there’s a unit that allows you to collect more of it. You will be in this mode while the boulder that you use to attack is built. Once the boulder is ready you can attack. 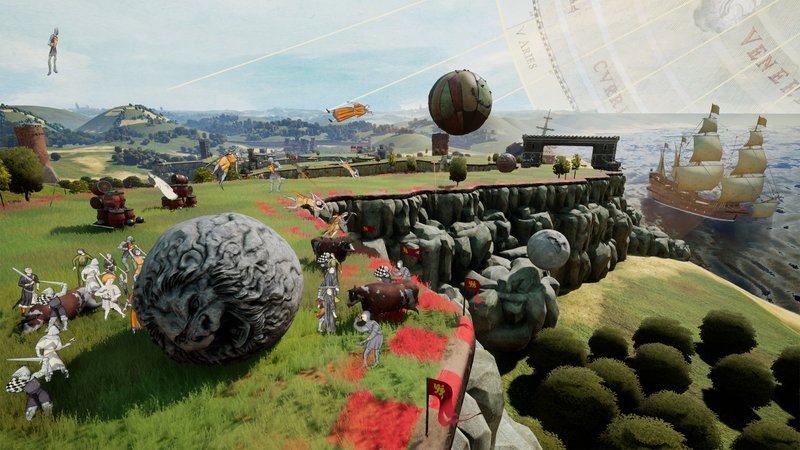 During this mode, you control the boulder in a third-person view. You have to reach the end of the path where the enemy’s castle is, and destroy the doors by crashing the boulder against them. Of course, the enemy will also build different things in your path that will try to stop the boulder, so you’ll have to maneuver through the obstacles to reach the end. At first, all this will seem weird, and it takes some time to get used to it. But once you figure out how each of the different tools works, and devise a good strategy to stop your opponent from attacking you, everything clicks and you can appreciate the game for what it is. And wonder why no one did it before. With such a crazy concept you can imagine the plot of the game is not far behind. You control Atlas, who is in charge of holding the Earth on his back. But he is tired of it and due to an accident, ends up falling to the Earth with the Boulder of Ages. Now you travel the Earth meeting different people from mythology, history, or even old paintings, while hiding from God. 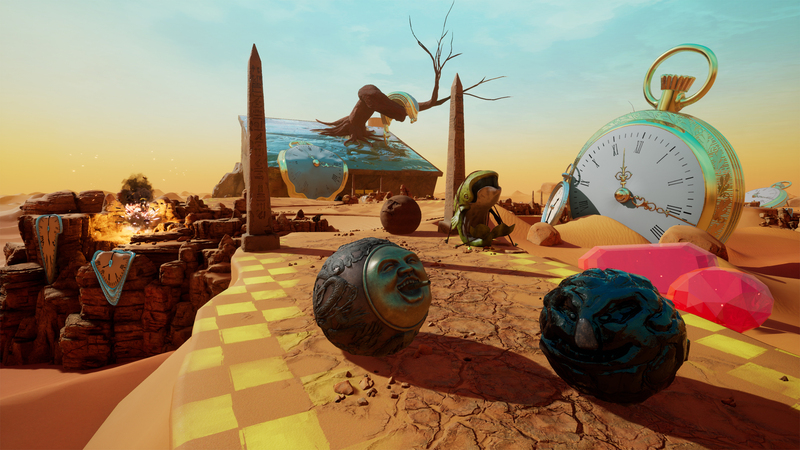 The game is divided into different stages, with each one representing a different painting or era. One is dedicated to William Wallace, so the scenario is representative of Scotland. 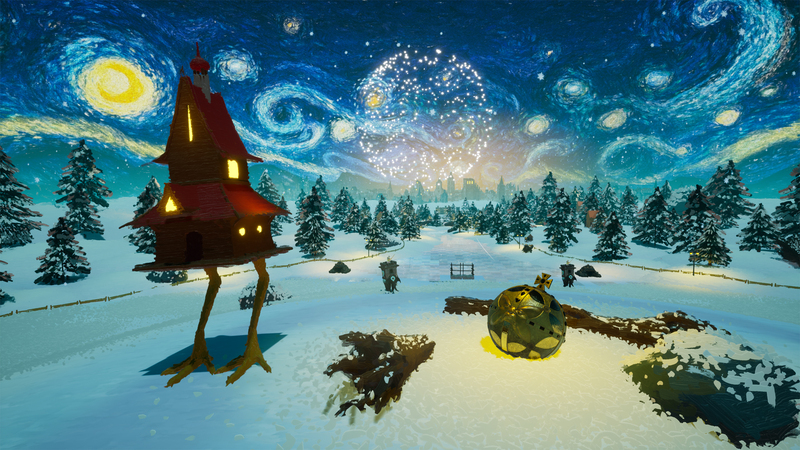 In another level, you fight against Van Gogh. 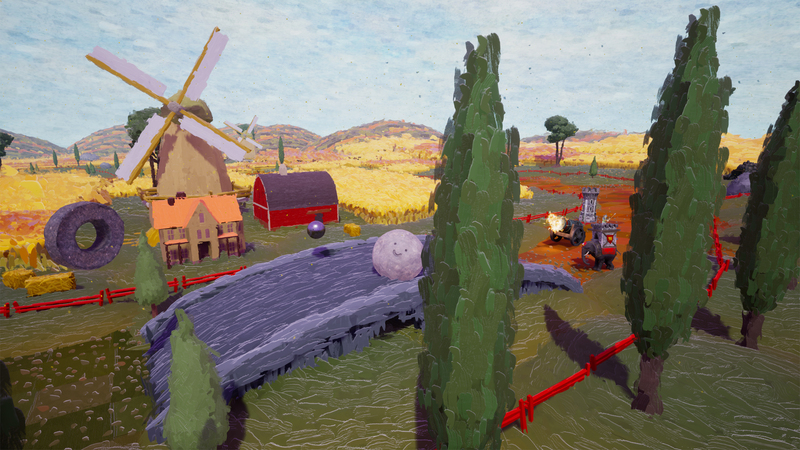 So the scenario uses his characteristic style for the backgrounds and Van Gogh’s self-portrait for himself. Each stage has a cinematic intro, which is one of the best parts of the game. These use classic paintings for the sprites of the characters and have a really random sense of humor. Imagine the animation of the Canadian people from South Park but on paintings like “The Scream”—it’s surreal, silly, and overall hilarious! Besides the War mode described above, there is a second game mode in which you compete against the AI in a race through the stage. The best of five wins the match and different obstacles are added to the scenario. War Mode and this one can also be played against other humans locally and online, so it’s a good option for those looking for a unique game to add to their parties. 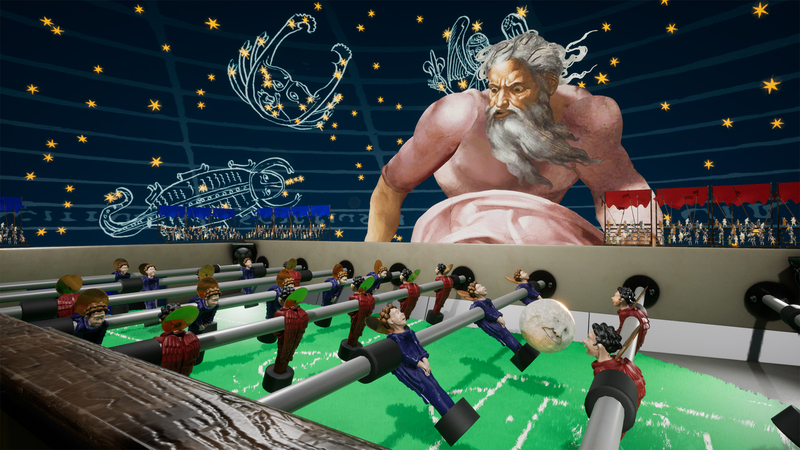 As mentioned above, the game uses classic art to represent each of the characters, but the scenarios are 3D with different elements from classic paintings. Without spoiling much the stages are amazing and a great tribute to the artists. There’s a stage based on Dali’s paintings so it’s quite surreal, and the ones in Rome have the famous aqueducts, among many other details from the mythology. On par with the style, the soundtrack uses classical music. The most known songs are from Mozart, Beethoven, and others. I’m afraid I’m not very knowledgeable on the subject, but the songs are really well made and normally used in pop culture, so you will identify a few of them for sure. The game took me about six hours to complete on medium difficulty, which for $15 sounds like a fair price. The humor and attention to detail in it makes it an easy game to recommend just because there are none like it. Extra points if you have friends to play it with you, as the campaign can be played co-op on the couch with split screen, which is not very common nowadays. In conclusion, this is a game like none other. It’s very unusual for a game to have references to Roman Mythology, the French Revolution, Egypt, and to several pieces of art, and even more for it to make fun of them while paying tribute to them. I hope that in the same way that many RPGs made me more interested in Nordic Mythology this game will make others interested in classical art and music. And if not, it’s still hilarious.